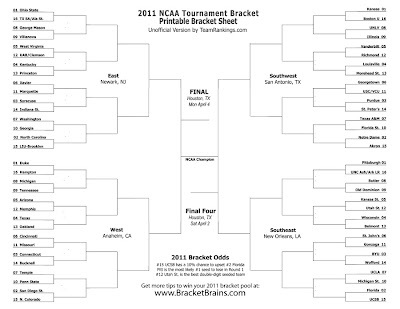 I have filled out five brackets. 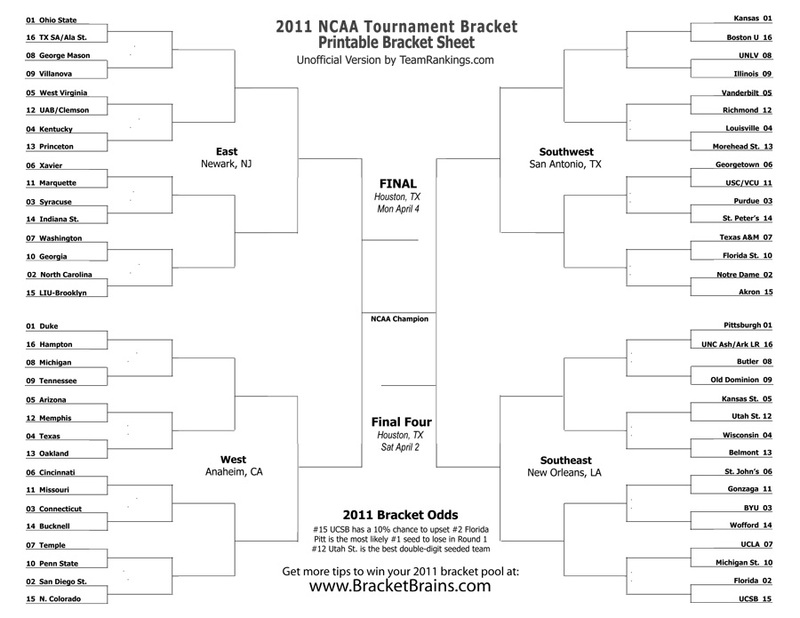 I picked Kansas three times, Duke once and Ohio State once. March Madness, brackets, and St. Patrick's Day all happen this week. What do you get when you combine St. Patrick's Day and the first day of March Madness? Some really excited drunk people. Adrian Peterson is out of touch...and quite possibly overwhelmingly uneducated. This week he compared playing in the NFL and the impending lock out to "modern day slavery." I find it insulting that a black man compares making $10 million a year to slavery and I really don't even fit into the equation anywhere that I should be insulted by this. Adrian Peterson needs a lesson in slavery. NFL players are trying to stay relevant...by boxing? Ochocinco (didn't he change his name back to Johnson?) is thinking about playing soccer in Kansas City. Yoga Challenge Update - Today is day #56 (of 90) and yesterday is the first time I was able to successfully do Crow pose! It was awesome!